HSTL-style redraft league with Retro rated players. 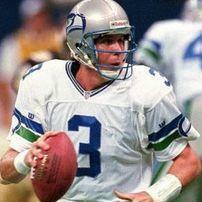 The Montana to Rice of Tecmo Leagues. HSRL 1970 ROM Release Thread: Super Bowl is Out! HSRL 1971 ROM Release Thread: Super Bowl is Out! Is the December 13, 1991 release date of Tecmo Super Bowl a lie? For as long as I can remember I have never thought that the official North American release day for Tecmo Super Bowl for the NES was known. Wikipedia, your encyclopedia in the cloud has always listed the North American release as "December, 1991" while listing a very specific "December 13th, 1991" for the Japanese release. Any other sort of internet deep dive would come up with the same result: no one listed the specific day on which this game was released. Try searching for "Tecmo Super Bowl release date" on Google or Bing now. The result is quite different because wikipedia is now different. I had noticed back in Oct of 2018 that the Tecmo Super Bowl Wikipedia page had been updated with the North American release day. Deep in the bowels of Tecmo Super Bowl's code one can find that the creators were working on implementing penalties into the game but thankfully never got around to it. There are no offsides or false starts or randomly generated issues. Last but not least, there are no late hits or personal fouls. As a defender there is often times no more satisfying move than to repeatedly dive on your already downed opponent, especially after they manage to score a touchdown. Diving on your opponent after a touchdown is unique because it's the only time in the game where you can make your opponent fumble after the play is over and this is noteworthy because a fumble erases the stats of the last play. For a lot of leagues where stats were poured over in an attempt to win a virtual MVP trophy diving on your opponent after a touchdown was illegal and could cause one to be booted out of the league. This seemingly simple hack came about years later when someone thought to ask if you could turn off fumbles after a score and Bruddog came through with the hack. Now people can pound their opponent with no mercy and with no guilt. Prior to 1912 there was no end zone and the goal line and end line were the same. 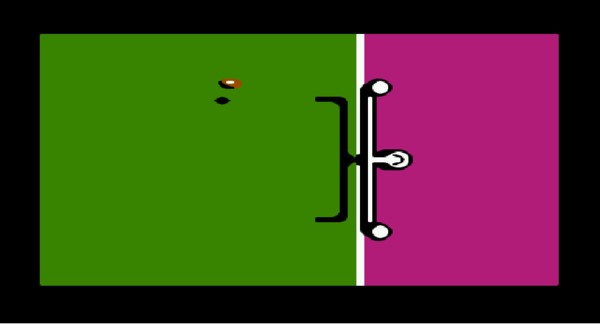 With the introduction of the forward pass, the end zone was devised as a way for a receiver to catch a ball inbounds. Goal posts remained on the goal line until 1927 when they were moved to the back of the endzone. While they remained there in the college game the NFL in 1933 moved them back to the goal line until 1974 when they were once again moved to the end line. Thus Super Bowls 1-8 plus any AFL seasons would have goalpost located at the front of the endzone and @fgqb#19nyj was kind enough to put together a tutorial on how to easily add this to your custom rom. With the CFL Mid Season here I decided to do an update to this great rom. I have added the hack to help ball carriers to crash through the line better. I have also changed the NFL all star team to include the original TSB all stars! I have uploaded 2 roms again, and there are now 7 ninute quarters! -NEW Play as road team version added!!! 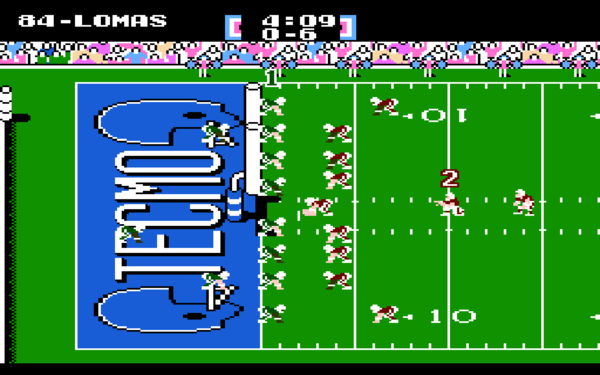 This game, Tecmonster’s Tecmo Super Bowl 2019, is based on the original Tecmo Super Bowl that we all know and love, but has been hacked and edited to a revolutionary extent! To create the player ratings, I feed their Madden ratings into a spreadsheet of my own formulas that then spits out Tecmo-compatible ratings. You might also notice that I’m actually using the “Running Power” attribute as a dynamic category for offensive players instead of just assigning every player a 69 rating, as in the original game (which was, in my opinion, simply an oversight by the creators, or maybe just a shortcut to finish the game faster). I also changed its name to “Acceleration” because that’s its real function. I'm planning to release the annual magazine that typically accompanies this game by Sunday night.